The FA Cup quarter final draws were made immediately after the fixture between Manchester United and Chelsea at Stamford Bridge. The Red Devils will be on the road again for the third time on a row to the Molineux to play Wolverhampton Wanderers. Nuno Espirito Santo's side who eliminated Liverpool in the third round will be making another attempt in knocking Man United out. 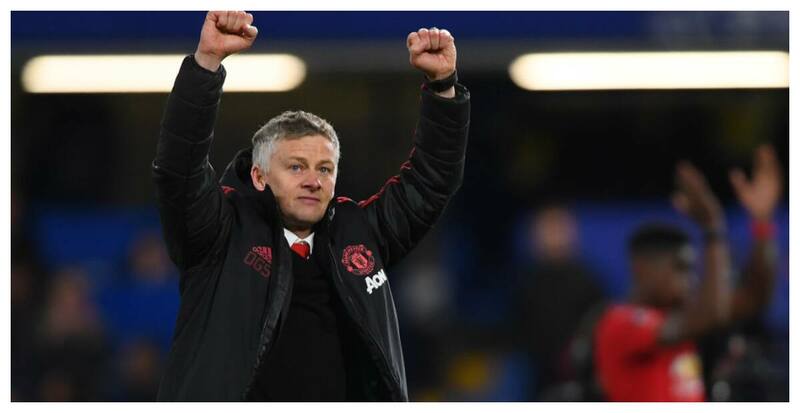 But Ole Gunnar Solskjaer who has been on an impressive 13 wins and just one loss record since taking over from Jose Mourinho, will be looking to win a silverware for his club this season. Premier League champions Manchester City will face Championship side Swansea City who thumped Bristol City 4-1 in the fifth round at the Liberty Stadium. Pep Guardiola's men who are already on course to repeat the league and cup double, will be chasing the treble on the domestic scene and possibly add a Champions League title to their splendid season. Another English top flight club Brighton will be guest to Millwall in a quarter final fixture after the Championship side recorded a narrow 1-0 win over Wimbledon in round 5. The last pick of the bunch is an all Premier League affair as Watford for the first time in the competition will be playing at home against London side Crystal Palace. All four fixtures will be played on March 16, for a place in the all England semi finals and finals slated for the Wembley Stadium in April and May respectively. Meanwhile, Legit.ng had earlier reported that Manchester United knocked Chelsea out of the FA Cup following a 2-0 victory at Stamford Bridge. Two first half goals from Ander Herrera and Paul Pogba was all United needed to sail through into the quarter finals.